Whether you believe in it or not, the fact remains that, you cannot get away from Valentine’s Day. Constant advertising and marketing about it in every corner you turn, plus the question “what are you doing on valentine’s day” from those who are signed up advocate of Valentine’s day can make you think you have to be part of it. Since Valentine’s Day is marketed as lovers’ day, what if you do not have one? Well, we have compiled a list of five things you can do on Valentine’s Day if you are a mature single person. We hope you find at least one item on the list useful. 1. 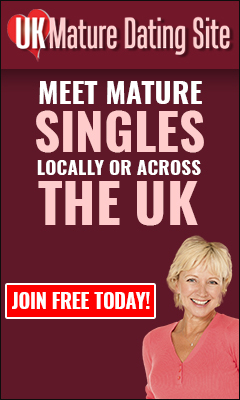 Join UK Mature Dating Site! Given that we are in the business of introducing mature singles to each other, joining UK mature dating site is the first suggestion on our list of five. The period before Valentine’s Day, and the weekend after it tends to be some of the busiest days in online dating calendar. It is free to join UK Mature Dating. This could be the chance to meet your very own Valentine’s Day sweet heart. 2. Send an environment friendly, electronic Valentine’s Day greetings. An organisation called don’t send me a card, in conjunction with Hope Spring charity have come up with a fantastic idea. You can send an electronic Valentine’s Day card. The cost of a traditional card and postage is donate to a Hope Spring Water charity. Click here to send a Valentine’s Day card. 3. Join a local Valentine’s Day walk. Many local singles group organise a Valentine’s Day walk and other social function. Joining one of these Valentine’s Day social could be the right opportunity to meet someone new. 4. Direct approach works. Do you fancy someone in your neighbourhood, have you always wanted to ask him or her out? Valentine’s Day may just be the excuse/reason you need. Just go for it and invite him/her for coffee. 5. Attend a speed-dating event. Speed dating events tends to abound around Valentine’s Day. Even if you do not like speed dating, attending one could help you meet a gorgeous single mature man or woman.